This week I'm loving having my sweetheart home, piles and piles of fabulous things to read (my favorite activity), and lots of gorgeous inspiration as we get just three months from the big day! Tell me, what are you loving lately? This garden-inspired Brooklyn wedding is simply lovely. A little over the top and totally divine. Mad about this German destination celebration. I adore a bride who's not afraid to break with tradition–especially when the results are so lovely. 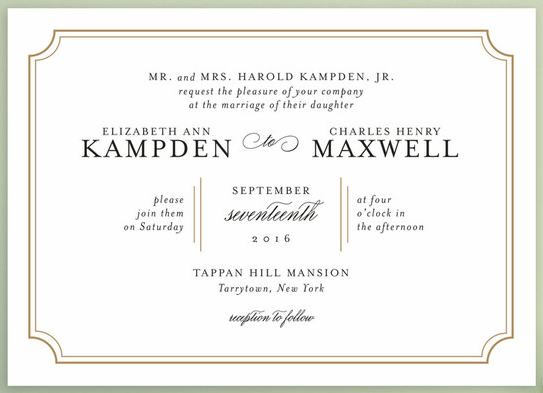 Classy Type invitation by Kimberly FitzSimons for Minted. Oh that Brooklyn wedding! Gorgeous! Our attendees enjoy the classic elegance of this place and we recommend the location for vows to anyone looking for a sophisticated yet welcoming space, and for a staff who are passionate, accommodating and always ready to help.